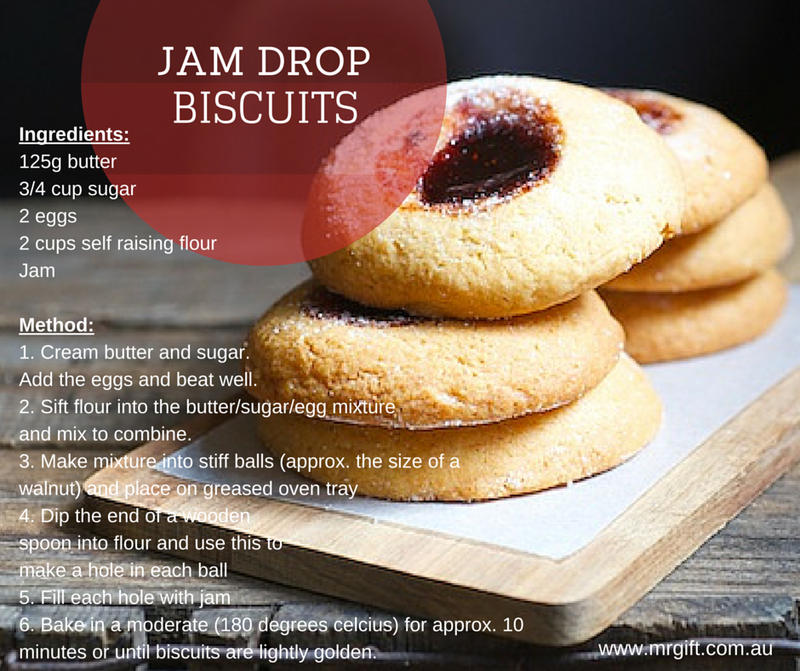 The humble Jam Drop is a firm favourite in our family. This classic biscuit recipe should be a staple in every household. 4. The ingredients are simple and usually available in most households at any given time. 1. Cream butter and sugar. Add the eggs and beat well. 2. Sift flour into the butter/sugar/egg mixture and mix to combine. 6. Bake in a moderate (180 degrees celcius) for approx. 10 minutes or until biscuits are lightly golden. 1. Experiment with different flavoured jams - we usually use raspberry, but marmalade, fig and homemade jams are also delicious. 2. Biscuits can be dusted with icing sugar to 'dress up' for a special occasion. What's your favourite biscuit recipe?